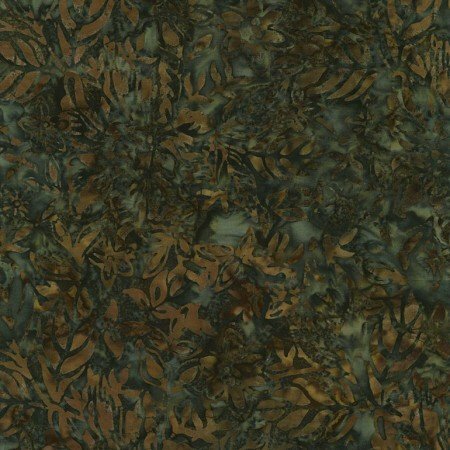 Mineral Matrix Batik BOM Quilt! Programs - Most Include Backing! 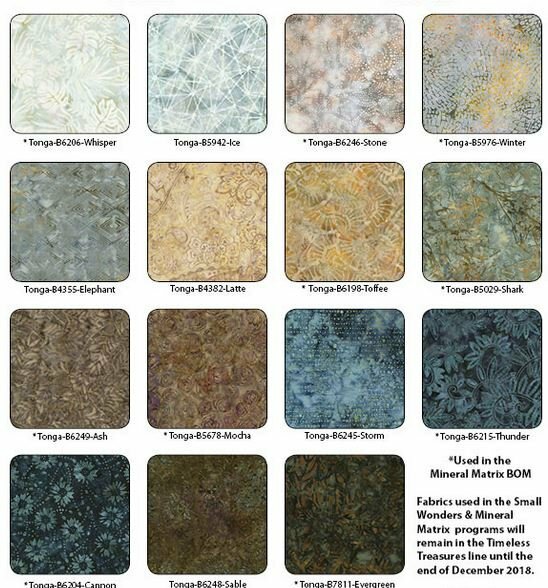 > Mineral Matrix Batik BOM Quilt! 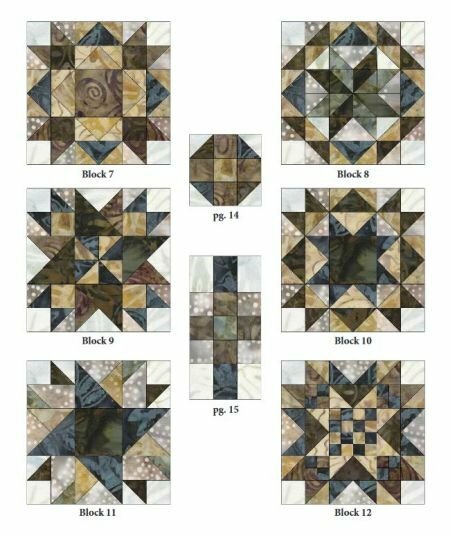 Mineral Matrix - Flexible Block-of-the-Month (BOM) Quilt! For a 60" x 80" Queen mattress, you will have 22" over the sides, 22" at the bottom and 2" extra at the top. For a 76" x 80" King mattress, you will have 14" over the sides, 14" at the bottom and 10" extra at the top. For a 72" x 84" California King mattress, you will have 16" over the sides, 16" at the bottom and 4" extra at the top. Gray, Mocha, Blue & Brown! The ten items with Stars are used in the Mineral Matrix BOM project! 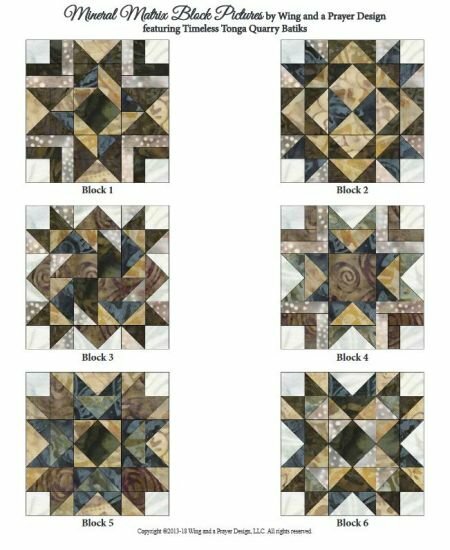 Exciting Blocks & Unique Sashing! Take a look at the exciting blocks you will make in your Mineral Matrix BOM program! This beautiful batik project includes the Fabric Essentials full-color pattern with exclusive cutting diagrams, a Boo-Boo bundle, and all fabrics for the top, including coordinating backing and binding. * Boo-Boo Bundle - set of Fat 8ths of all fabrics used in the blocks and sashing! 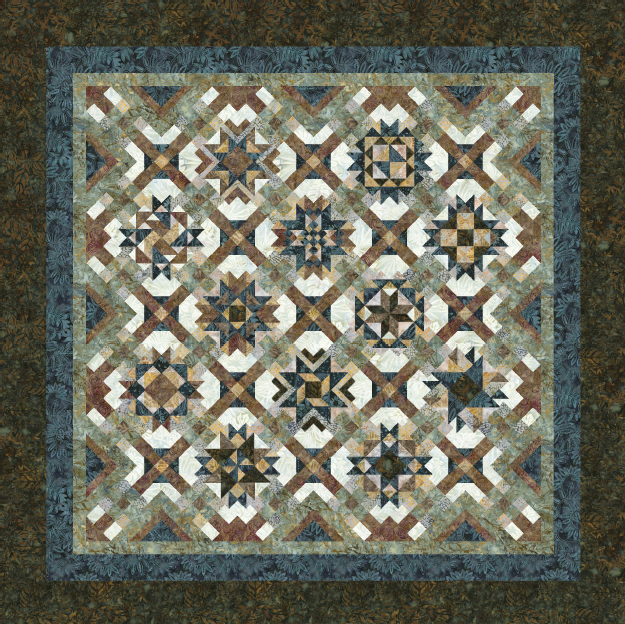 You will receive a beautiful coordinating batik backing in three equal pieces to make it easier for you to work with! We are running low on fabric and need your 1st, 2nd and 3rd choices as quickly as possible. The pattern calls for only 9 yards of fabric, and that's what most programs offer, if backing is even offered. However, we feel that is literally cutting it too close for a 104" quilt! We have allowed enough fabric so you'll have at least 6" all the way around for your longarm quilter. We'll call you shortly after you place your reservation and will go over any questions you may have. (You can also use the Notes box when you place your order). At that time we'll ask you how many blocks you want, and how often you want them. We'll also get your credit card details for auto-billing. Meanwhile, if you have any questions, please call us at +1-785-243-4044, or email us at FabricEssentials@aol.com. The beautiful border fabric is shown in detail below. Remember...we provide enough yardage for you to cut length of fabric (LOF) strips - there will be no piecing in these beautiful borders!